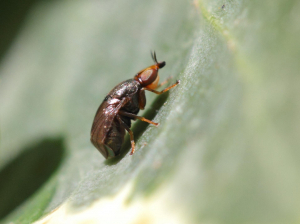 Small dipteran (estimate ~2-4mm body length). Hunched body, slow walk. Somewhat beetle like in appearance and behavior. Antennae with arista. Flattened head.